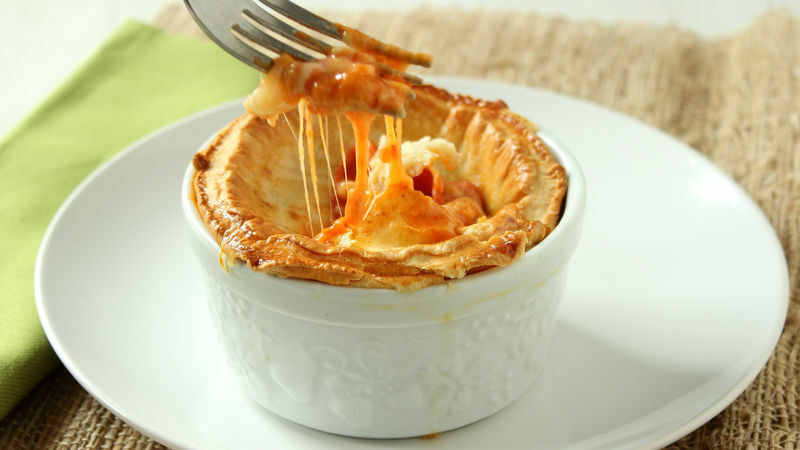 In each of 4 (2-cup) ovenproof ramekins or individual baking dishes, place 2 tablespoons pizza sauce. Sprinkle 1/2 cup cheese over sauce in each ramekin. 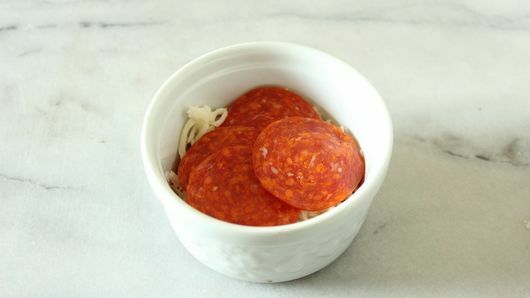 Arrange 4 slices pepperoni, overlapping slightly, on top of cheese in each ramekin. Spread 1 tablespoon of pizza sauce over pepperoni in each. Fill each with another 1/2 cup cheese. Sprinkle work surface with flour. Unroll dough onto work surface; sprinkle dough with flour. Use round cookie cutter to cut out 4 rounds of dough slightly larger than top of ramekin. 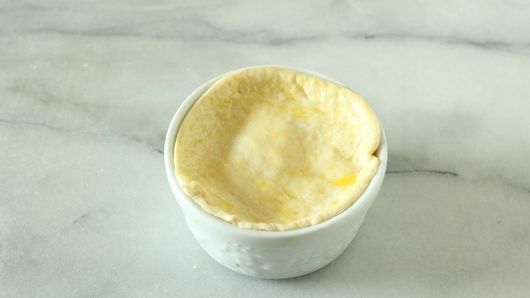 Place 1 round on top of each ramekin; gently press down dough. Brush dough with beaten egg. Bake 25 minutes or until crust is golden brown. Use plenty of flour when unrolling the dough sheet. This will prevent the dough from sticking to the surface. Make sure the cookie cutter you use is slightly larger than the circumference of your ramekin.